Following her attendance at the Variety brunch, Annalise Basso attended the 23rd Annual Screen Actors Guild Awards this evening(January January 29th) at the Shrine Auditorium in LA. 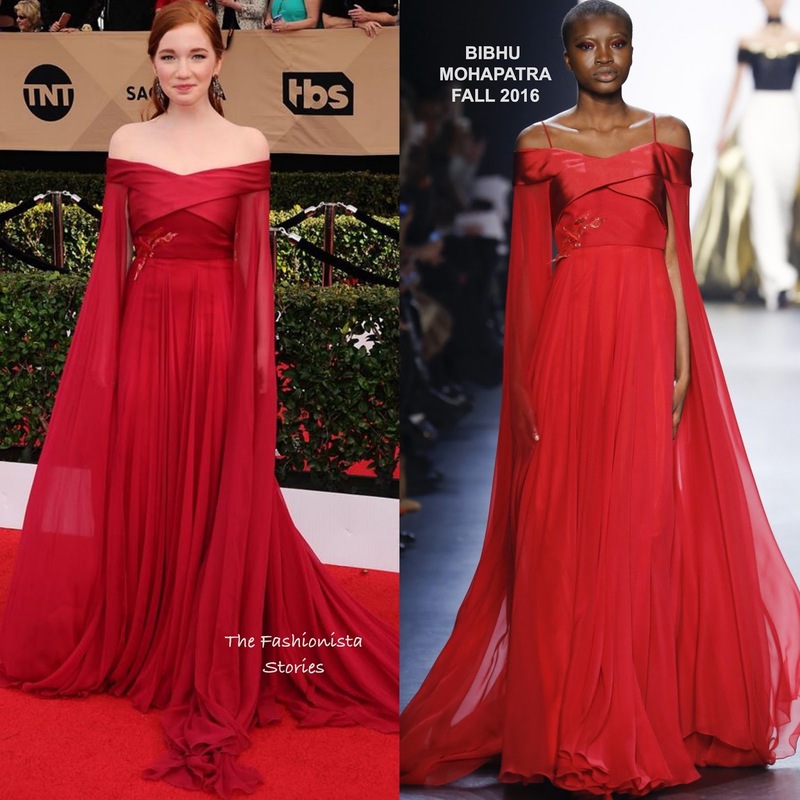 If Annalise wanted to make an memorable impact when she hit the red carpet, she did so in this BIBHU MOHAPATRA FALL 2016 red chiffon layered gown. Her gown featured dramatic cape sleeves, a satin off-the-shoulder detail and a beaded embroidered panel waist. Annalise gown featured thin straps on the shoulder which she removed and did not need. She seemed to be having fun with her gown as she played a lot with the sleeves while on the carpet. Statement earrings, minimal make-up and a half up half down hairstyle finished up her beautiful look. Stunning, but maybe too long on her frame. Too much for her to carry, and not her color.